Insulshell is an innovator in the development and application of offsite manufactured building envelope solutions. Our company has invested significantly in value engineering technology which places us at the leading edge within the industry, whilst embracing a strong environmental and product performance ethos. With a culture of continuous improvement, Insulshell is consistently addressing process and product inefficiencies to continually evolve and embrace the latest material technology to provide refined solutions for achieving Fabric First, low-energy performance in the most cost-effective way. 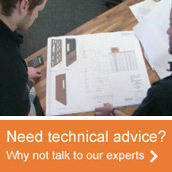 If you have a specialist application for our large format closed panel structural timber systems then please talk to us. In most instances we are able to customise the standard panel design and apply our technology to an infinite range of building types – whether as a volume option or as a one-off project.